Home » Pets & Animals » Saga Says: It’s Hip to Snip! « Older: Letter to the Editor: Saga Humane Society says THANK YOU! 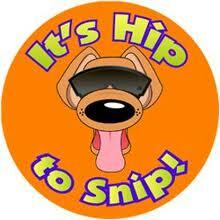 Saga Says: It’s Hip to Snip! Stray dogs have been a hot topic for the Saga Humane Society (Saga) and The San Pedro Town Council (SPTC) for quite a few years. Visitors and residents alike often complain about the problem of roaming strays who defecate in public areas, spread garbage on the streets and are sickly and/or aggressive. In some areas, even driving or riding a bike becomes treacherous as drivers are attacked by these unkempt animals. The constant danger of disease from dog bites or their waste is at the forefront of the minds of many who encounter them on a daily bases. In early 2012, the SPTC went with the standard, yet controversial method of eliminating stray dogs via strychnine poisoning. Many pet owners and animal lovers joined Saga in decrying the method of stray elimination, labeling the method as inhumane. With the controversy that arose, Saga began working with SPTC to do the more humane “Dog Roundup Program”. 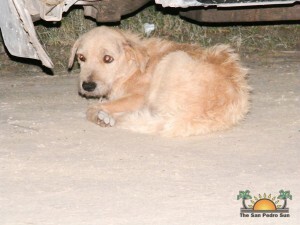 The program was designed to pickup stray dogs from the streets and take them to the Saga shelter. The animals could either be re-claimed by their owner (after paying a fine) or adopted to good homes, or if no claims or adoption came through, they would be humanely euthanized. The enforcers of the program knew that it would not completely eradicate the problem, but it provided a more humane way to treat the issue of strays without having the animal suffer a painful death due to poisoning. A total of 180 dogs were taken off the street during the 2012 dog round up program. However, the Dog Round Up program is not a solution to the stray population; it was only to alleviate the problem at the time. That is why Saga has come up with a new project this year to tackle the problem at the source. Saga has made an initiative for a new campaign to control dog populations in the island this year. The Spay/Neuter Initiative Program (SNIP) will be rolled out with the intention of sterilizing 75% of the dog and cat population in Ambergris Caye in a period of three to five years. Saga believes that the only effective way to reduce the number of strays is to prevent rampant breeding. Spaying and neutering is the best way to reduce the population of unwanted dogs, as is the proper disposal of garbage (the strays’ main food source). Pet owners are encouraged to take their pets to be spayed and neutered at Saga in order for this project to be successful. According to Saga the problem is irresponsible pet owners. Many of the dogs roaming around the streets have owners who are not properly taking care of them. Most dogs end up going through garbage to survive, causing even further problems in the process. Stray dogs also breed freely without being monitored, creating an excess of offspring that will not be properly cared for. Dogs that have been neutered/spayed are not only more community friendly but they also tend to live longer, happier lives. The public of San Pedro is being encouraged to take pets to Saga to be spayed/ neutered at little or no cost. The San Pedro Town Council has come on board with the new campaign, and has offered Saga its full support. The dog round up program will still be in effect over the year until sufficient funding is received for SNIP to take effect. Saga advises all pet owners to keep pets properly secured in order to reduce the number of dogs wandering the streets, and homeowners are encouraged to properly and securely dispose of garbage. Illegal dumping of trash may be reported to The SPTC, and of course, pet owners are encouraged to spay or neuter their dog or cat. Saga also discourages the buying and selling of puppies, as it is far more resourceful to adopt. If all these measures take effect immediately, it will go a long way in addressing the stray problem on the island. Saga Humane Society depends solely on donations, and is always more than grateful to those willing to donate, either financially or through their time volunteered. Any report of a nuisance dog can be reported to SAGA Humane Society at phone number 501- 226-3266. Don’t have kittens because it’s raining cats...and more cats in San Pedro!